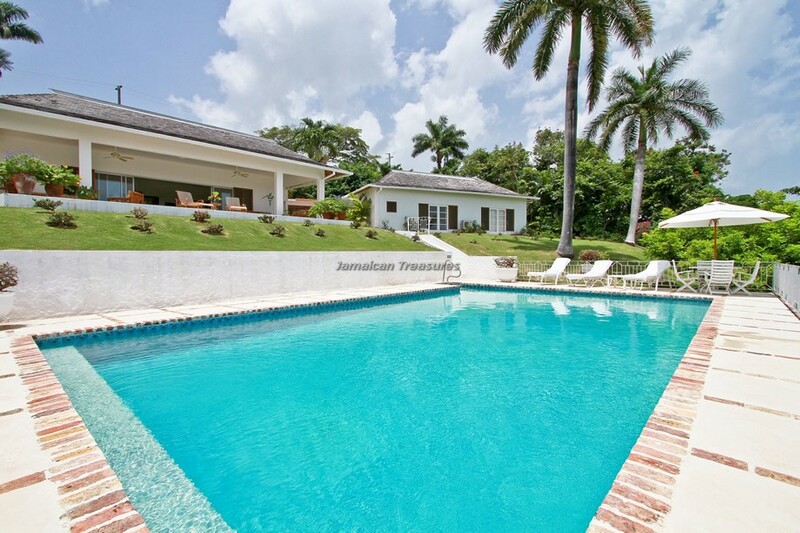 Deluxe 4 bedroom, 4 bathroom villa.Tryall Resort Membership. 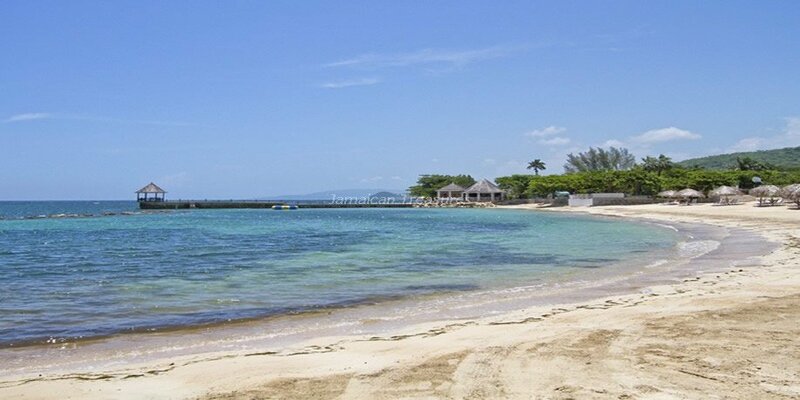 3 minutes golf cart ride to the beach! 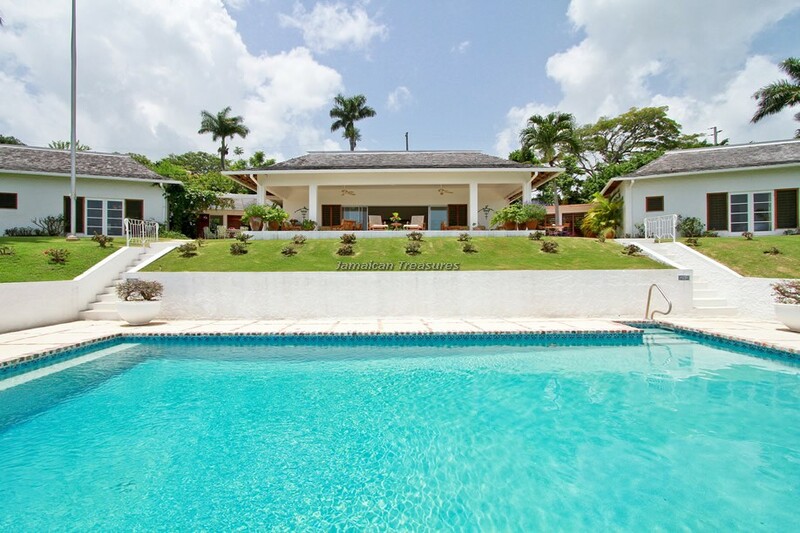 Yellowbird Villa in one of the finest and most luxurious villas in Jamaica located within one of the most exclusive gated resorts, the Tryall Club. 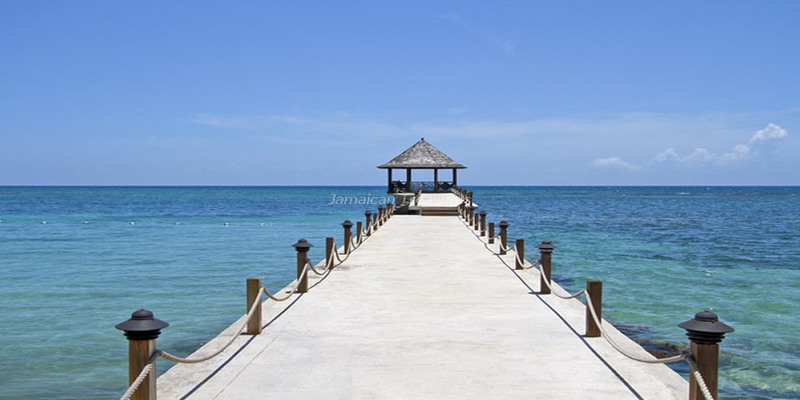 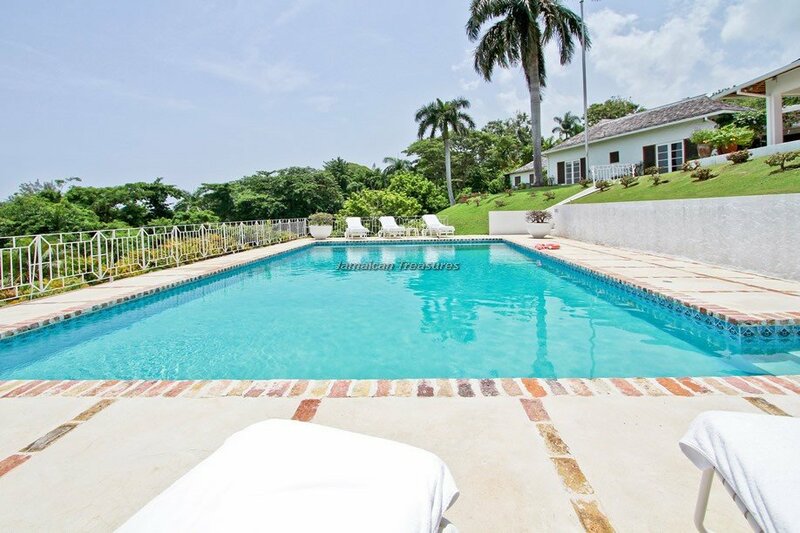 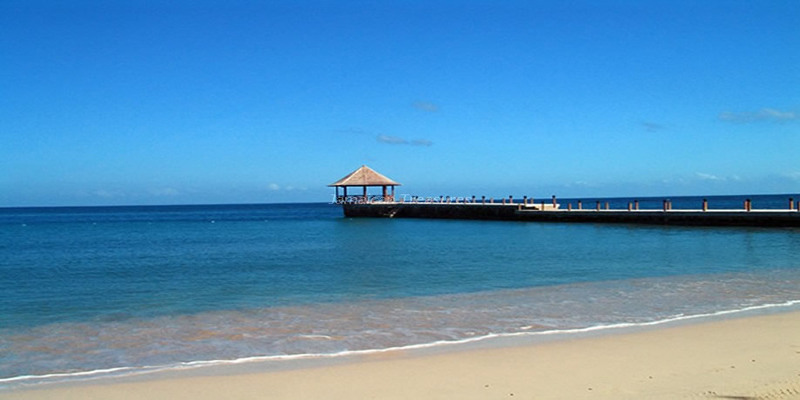 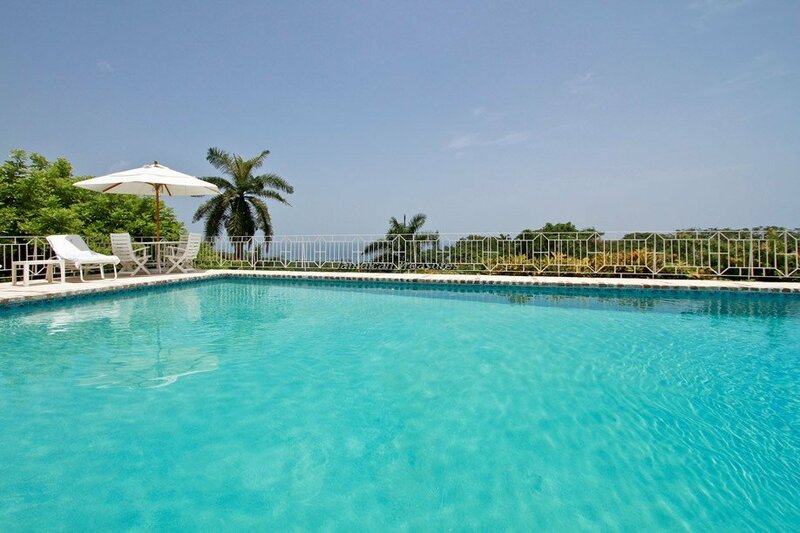 The privately owned villa combines the indulgence of a luxury villa Jamaica, with the intimacy of a private home. 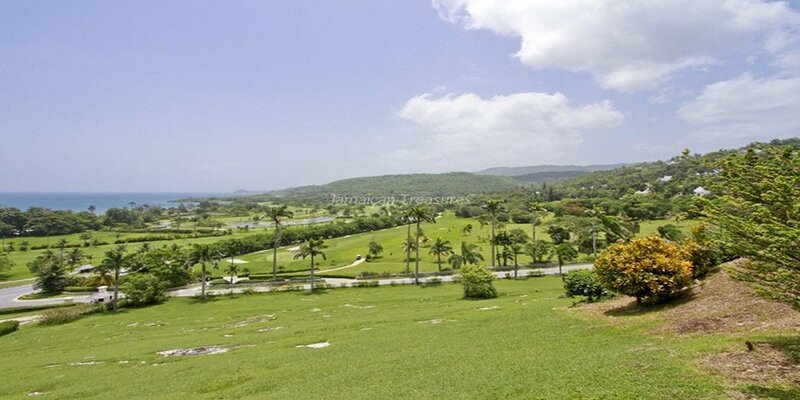 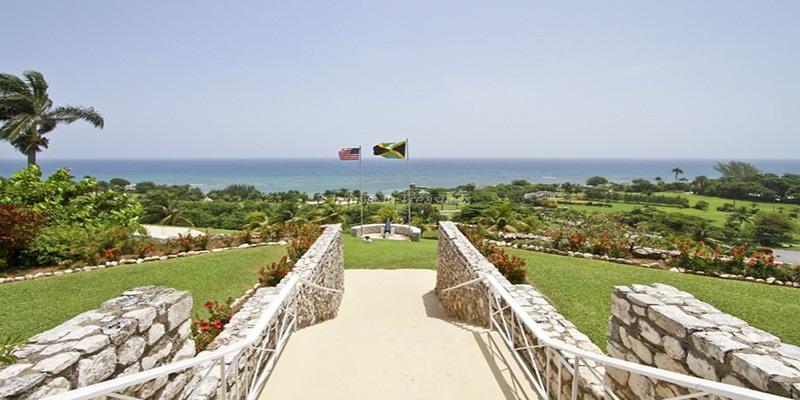 Nestling in the hills at one of Tryall’s highest points, the Jamaica villa looks over the glittering Caribbean Sea, the panoramic view of the pristine golf course and the picturesque tropical landscape. 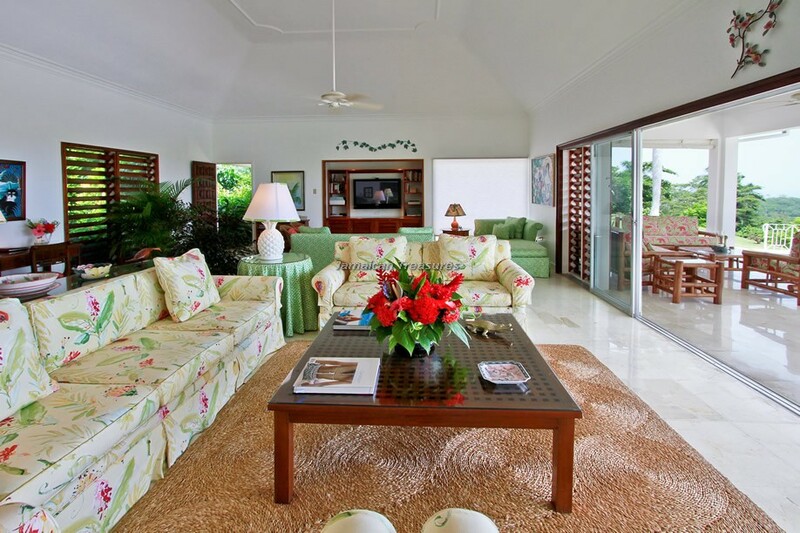 The exclusive accommodations and the fully-trained staff make Yellowbird Villa literally a paradise for vacationers. 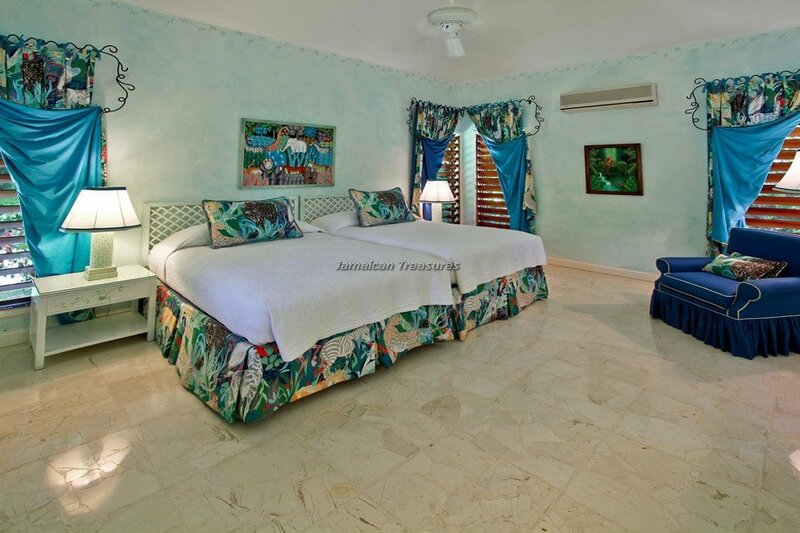 Yellowbird Villa has four beautifully appointed bedrooms. 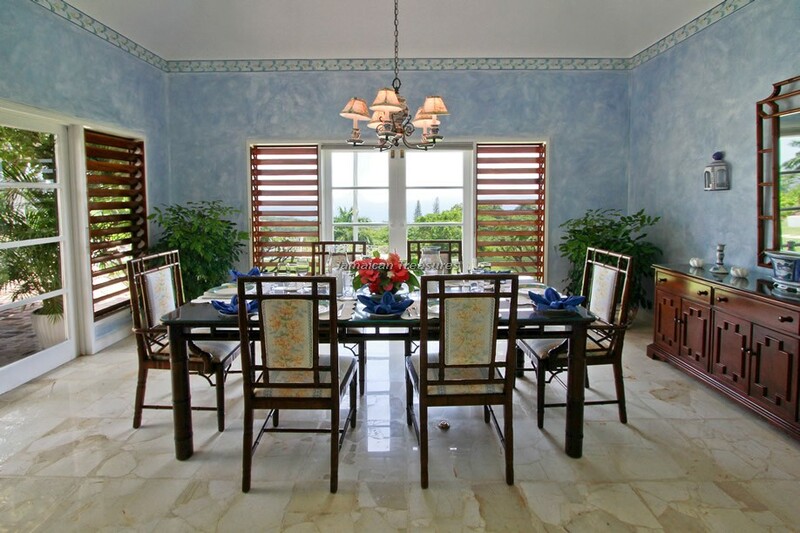 Tiled flooring, modern furnishings, dark wood shutters and trims create an ambience of tranquil elegance and traditional Jamaican charm. 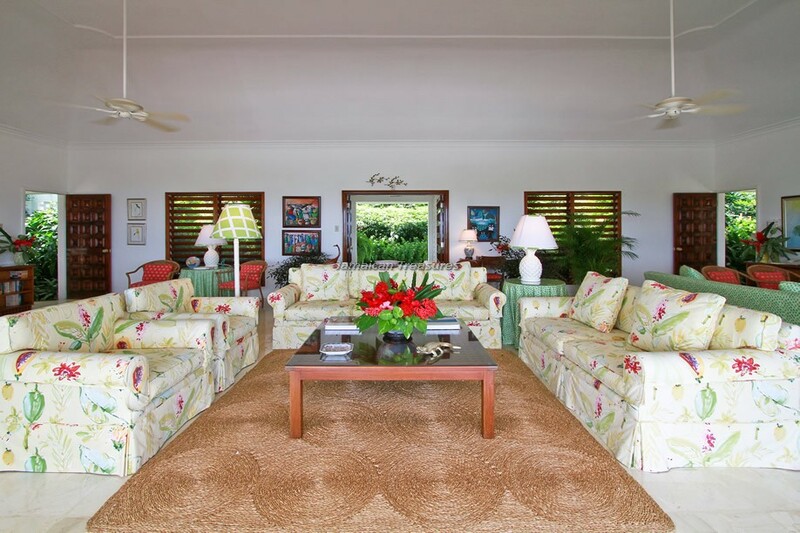 An expansive living room with cable television, DVD player, built-in bar and comfortable and stylish furniture is the perfect place for spending time with family and friends. 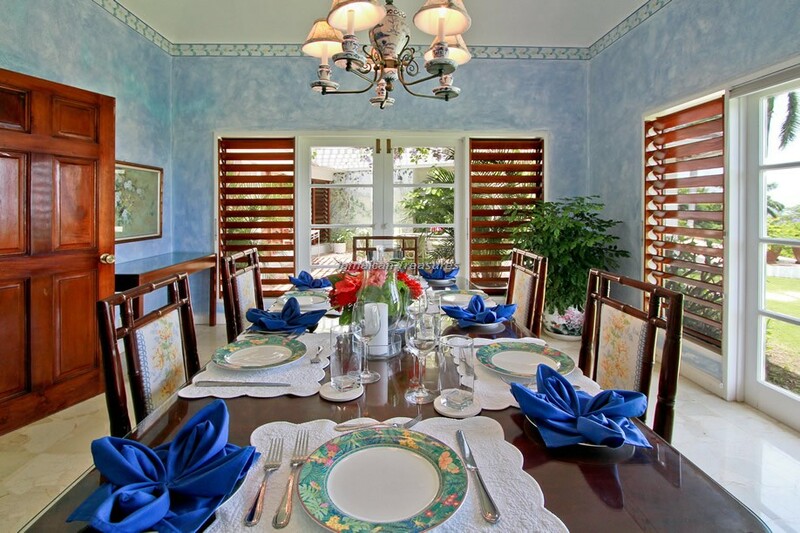 The lovely ambience is extended into the verandah, another excellent place for entertaining on beautiful Caribbean evenings. 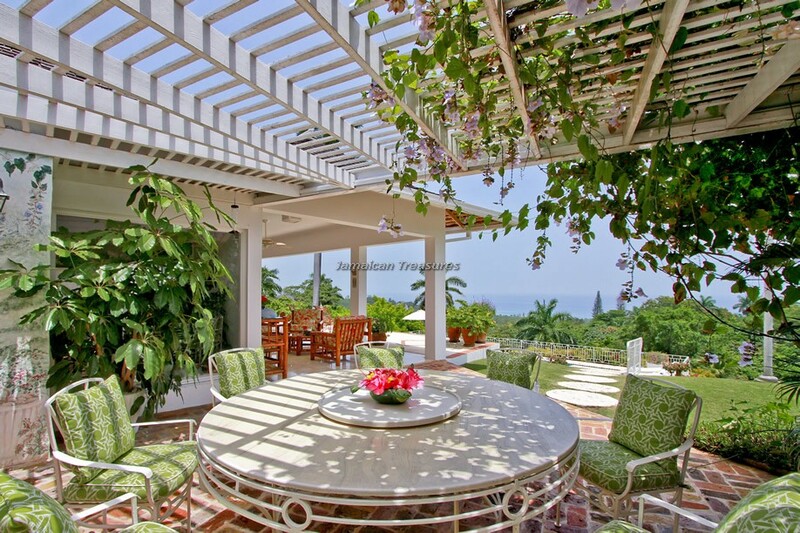 The indoor dining room is appropriate for formal occasions, while the patio dining area is just right for a delicious brunch or breakfast. 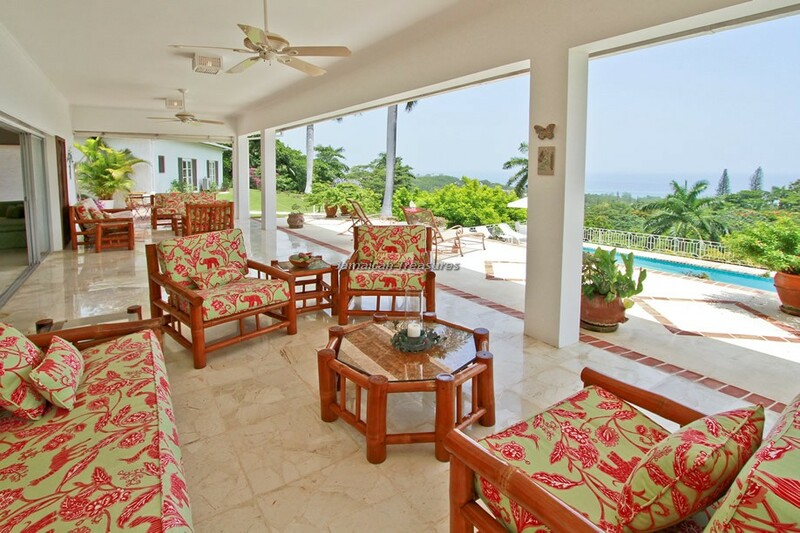 Yellowbird Villa features the east and the west wings, each of which have delightful garden walkways leading to the bedrooms, adorned by green dracaenas, colorful yellow shrimp flowers and beautiful aglaonemas. 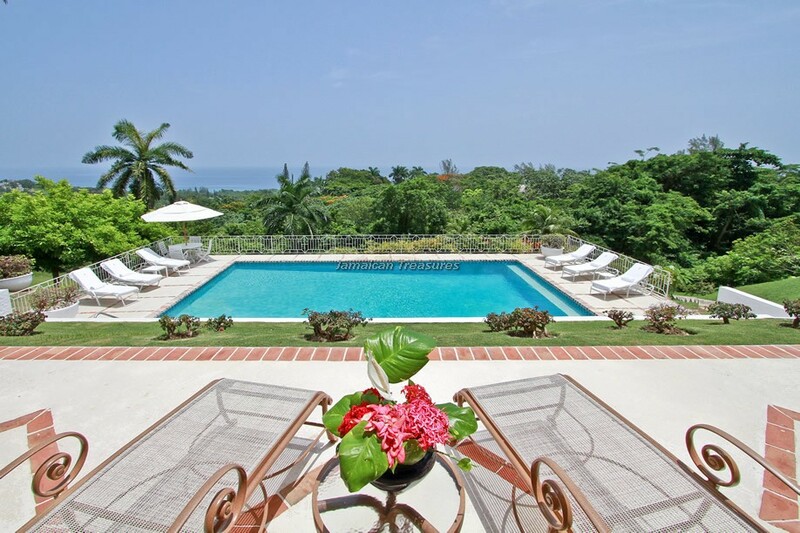 The oversized swimming pool and deck are bordered very beautifully by gardens filled by tropical flowers. 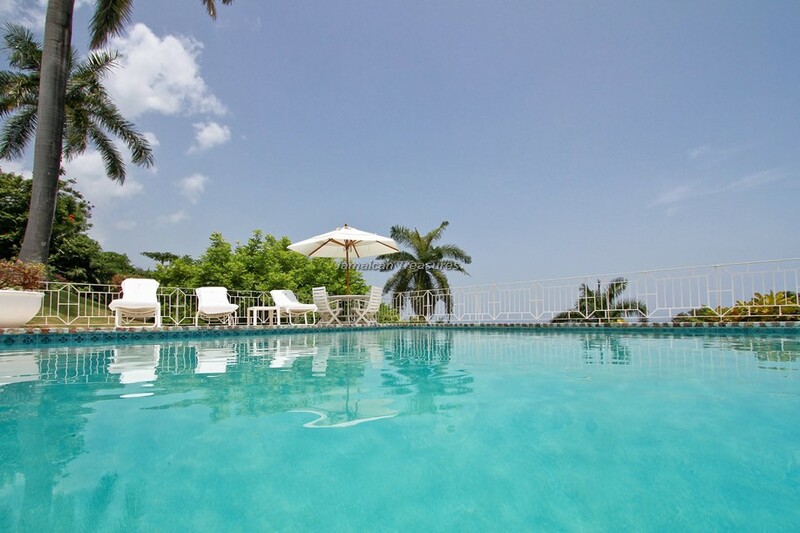 Yellowbird Villa has four spacious air-conditioned bedrooms. 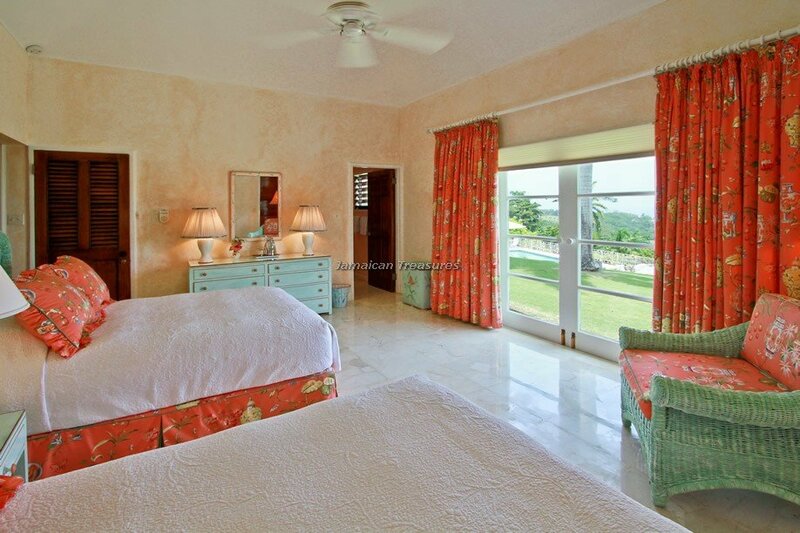 The master bedroom offers with two queen-sized beds, en suite bathroom, dressing area, wall safe and cable television. 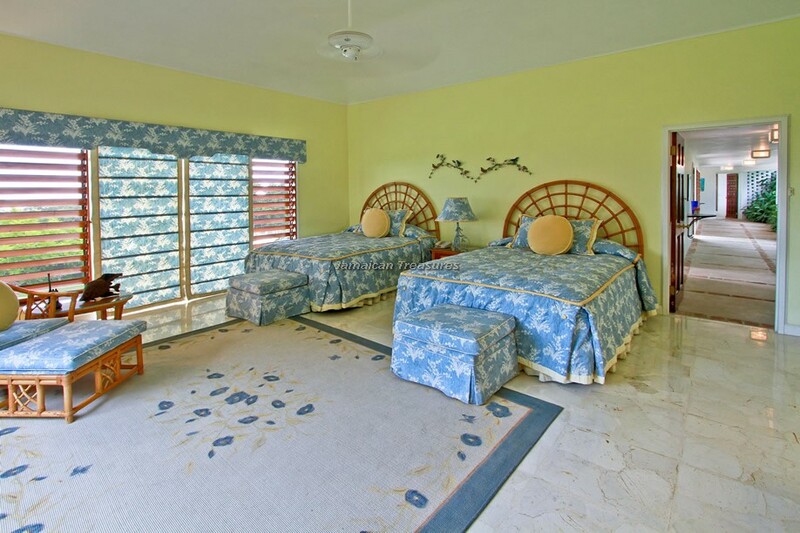 The second and third bedrooms are furnished with two twin beds each, while the fourth one has two double beds. 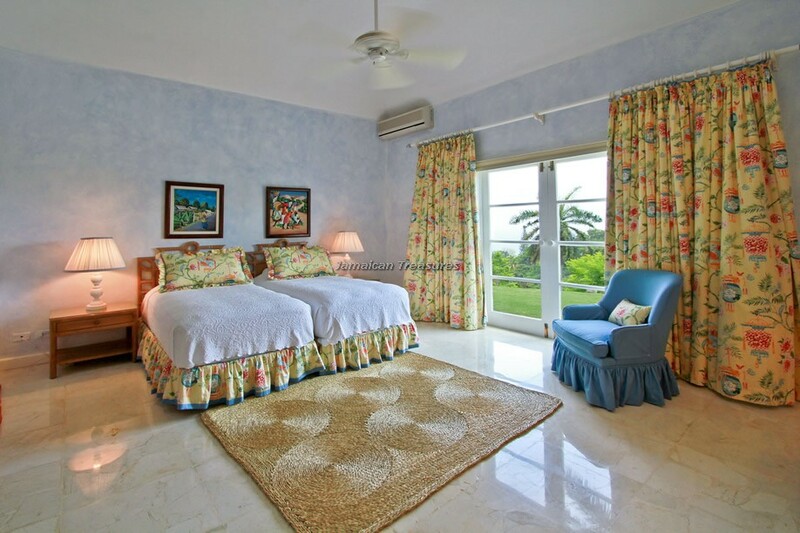 All bedrooms have individual en suite bathrooms. 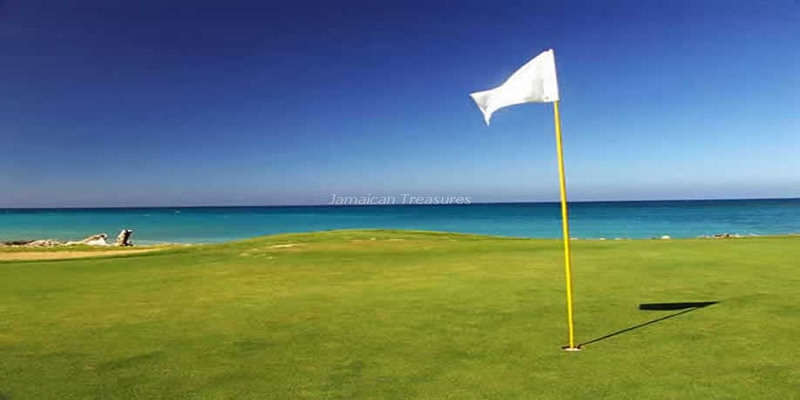 Guests at Yellowbird Villa have two complimentary golf carts at their disposal for exploring the Tryall Club and its numerous facilities. 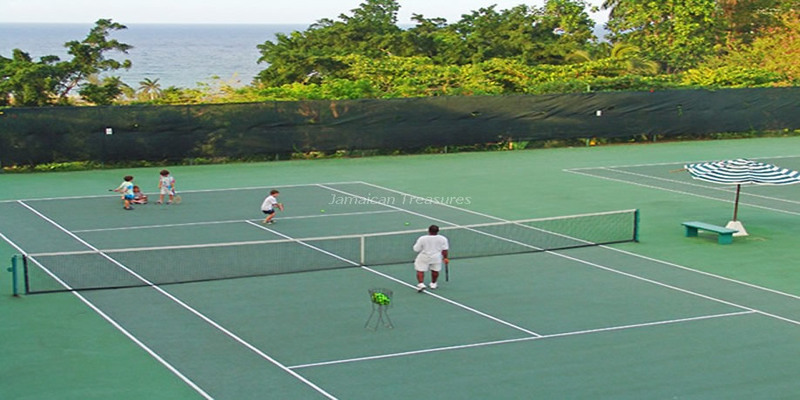 A complimentary shuttle is also available to take the guests to the resort. 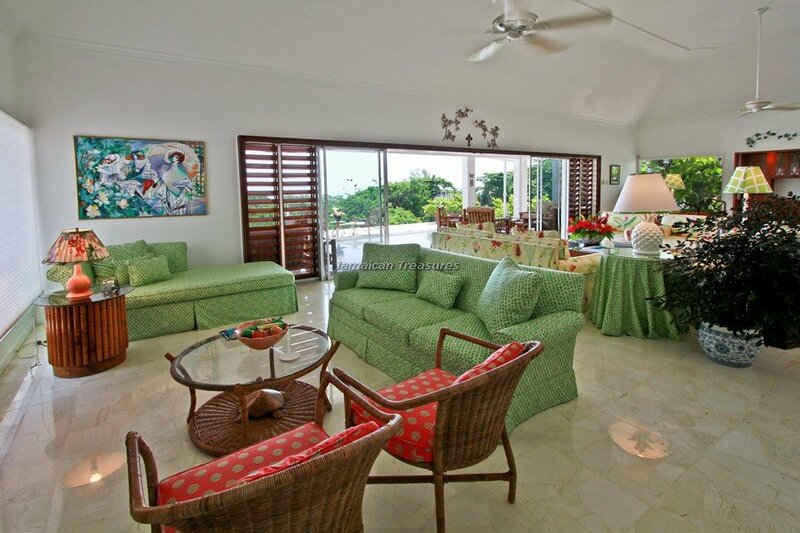 The welcoming private staff of five includes a cook, laundress, gardener and two housekeepers. 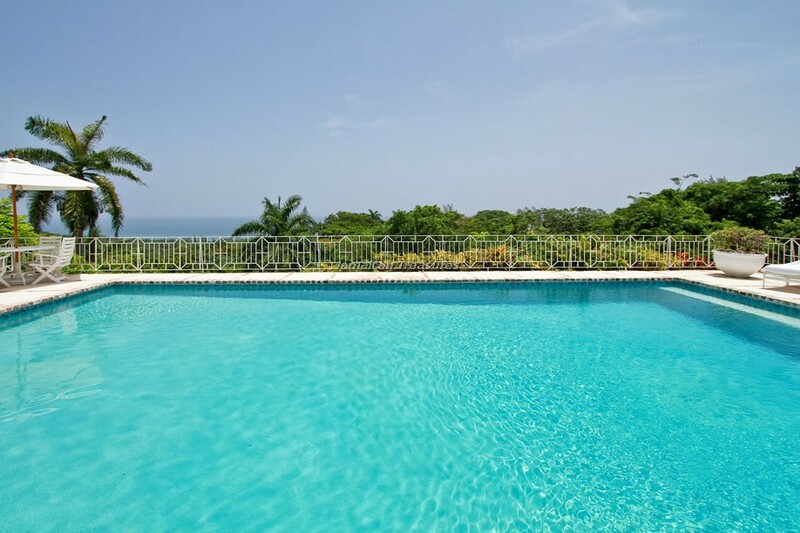 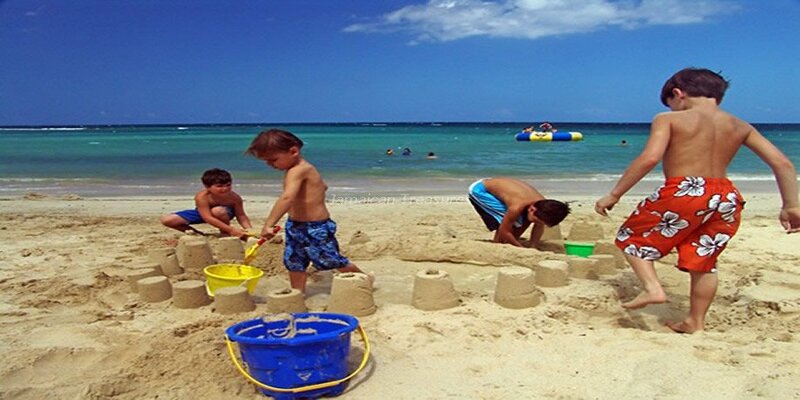 The luxurious interiors, beautifully landscaped gardens, the numerous facilities and the hospitality of the in-house staff make Yellowbird Villa one of the best villa rentals in Jamaica. 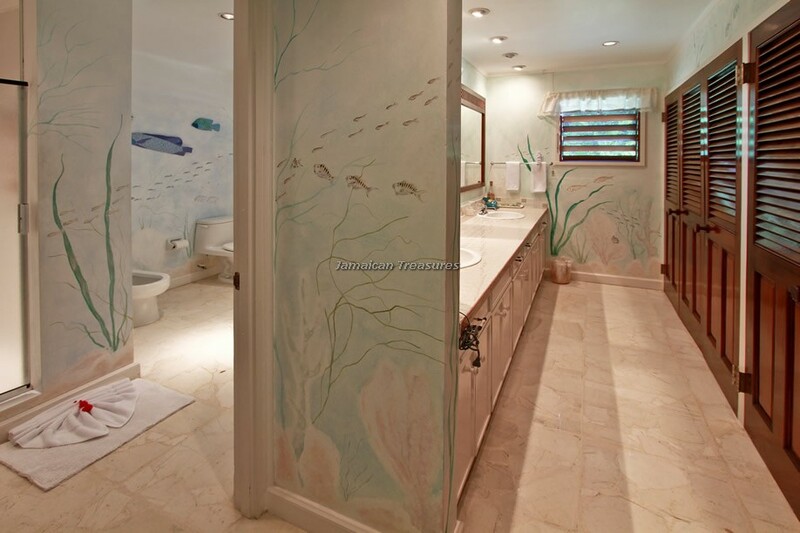 There is a wall safe in the bedroom. 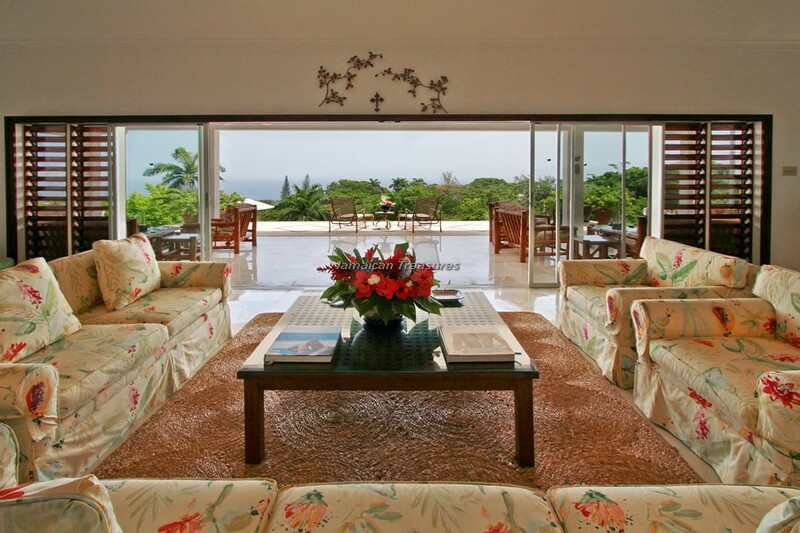 Security deposit of $700.00 is required prior to arrival.